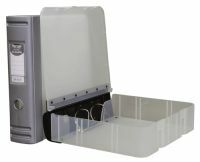 This Hermes box file is made from heavy duty polypropylene for long term filing of A4 documents. The box file features a unique 2 D-ring filing mechanism with a 50mm capacity for up to 500 sheets of 80gsm paper. 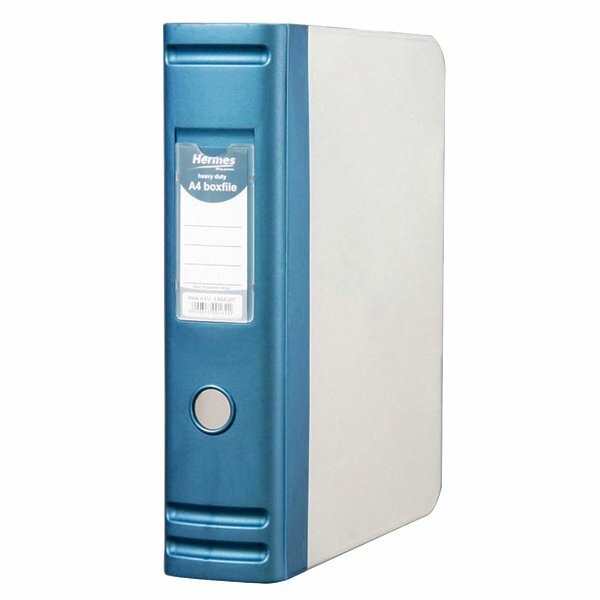 The file also features a coloured 80mm spine with a finger ring for easy retrieval from a shelf and a removable spine label. 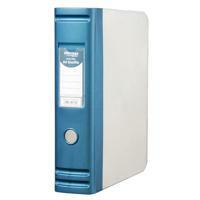 This pack contains 1 blue box file measuring W80 x D290 x H325mm.